When a piece of real property is financed, purchased or sold, a record of that transaction is generally filed in public archives. Other events that may affect the ownership of a property are also documented and filed. These may include liens, levies, encumbrances, etc. When a Buyer purchases title insurance, the title company searches these records to identify, and remedy (if possible) issues that may affect the property and the Buyer's ownership rights. 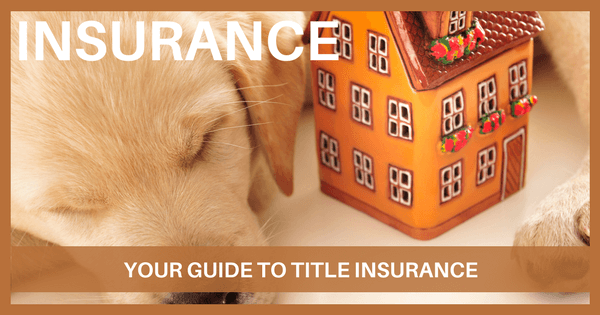 There are two types of title insurance, a lender's policy and an owner's policy. The Lender's policy insures the financial investment for the lender or bank. The owner's policy protects the buyer's property rights as a homebuyer. When you purchase a new home or other piece of real estate by using a mortgage, you may be required by your lender to purchase a Lender's Policy through a title insurance company. This policy insures the lender against covered title defects. This coverage for the lender lasts for the life of the loan barring any limited circumstances stated within the policy. The Owner's Policy of title insurance provides insurance directly to the owner listed in the policy and describes the type of property owned. The insurance in both the Lender's and Owner's Policy is subject to the policy provisions and the exceptions listed on the Title Schedule. In order to issue a title insurance policy, the title agent collects the documents affecting title to the property from the public records that are statutorily identified for the recording of real estate transactions. This process is called the search. Then the title agent examines these documents to identify any title defects. Once the search is complete, the title insurance agent can then determine the insure-ability of the title and list exceptions from coverage and requirements to insure. The premium is the one time payment for both the Owner's Policy and Lender's Policy. The premium is usually paid at the closing of the transaction. The Lender's Policy premium is based on the loan amount and the Owner's Policy is based on the sales price of the property. The purchase of real estate property may be the largest financial investment you ever make. Title insurance can give you added peace of mind in knowing that the title of your investment is insured. The Owner's Policy lasts as long as you own the property. The commitment is a title insurance document and commits the company to insure. It reflects matters that appear on the record title as of the effective date and time, which may or may not appear in the final policy (i.e. mortgages, easements, liens, restrictions, etc.) as well as setting forth the requirements which must be met before the final policy is issued. As soon as you receive the title commitment, carefully review the information on Schedule A. If you find any discrepancies contact your real estate agent and title company immediately. OWNER'S POLICY: Does the type of Owner's Policy match what is marked on the contract? POLICY AMOUNT: The Owner's Policy amount should match the purchase price on the contract or final addendum. BUYERS: Are the Buyers listed on the commitment the same as the parties who signed the contract? Are the names spelled correctly? SELLERS: Are the Sellers listed on the Commitment the same as the parties who signed the contract? LEGAL DESCRIPTION: Does the legal description match what is on the contract? Schedule B-1: List of Requirements that must be met to insure. Carefully review for matters that are expected to be resolved before or at closing. POWER OF ATTORNEY: Are any of the parties using a Power of Attorney to close? ENTITIES: Is the Seller or Buyer a Corporation, Limited Liability Company or Partnership? Documentation such as Articles of Incorporation, Resolution of Corporate Authority and Partnership Agreements may be required in order to close. DECEASED VESTED OWNER: Proper administration of the estate of the deceased and/or appropriate documentation will be required. RELEASES: Deeds of trust/trust indentures, liens and judgments must be satisfied and released. ACCESS: If no record access is found, an easement may be required. LIEN WAIVERS: New construction transactions may require lien waivers for work and/or materials. An exception is a specific item set forth that is not covered by the policy. Something that is excluded from coverage. STANDARD EXCEPTIONS: Every commitment has standard or regional exceptions. The standard Owner's Policy will not cover any defects in title, losses or claims, which fall within the standard exceptions. These exceptions may be removed on an extended coverage or Homeowner's Policy for an additional fee and requirements. EXCEPTIONS: Specific exceptions that affect the subject property are listed after the standard exceptions on the commitment and may include taxes, covenants, conditions and restrictions (CC&Rs), easements, reservations, deeds of trust/trust indentures, mortgages, liens and/or judgments. Exceptions may be deleted or revised on the final policy. Examples: Payment of prior and current property taxes at closing will be amended to show paid current on final title policy and deeds of trust and mortgages paid at closing will be removed. Policy endorsements can provide added coverage for an additional fee.